Kevin T. Zubor is Katten's Chief Financial Officer. Kevin provides leadership on long- and short-term strategic planning, as well as firm and practice profitability, financial planning and analysis, forecasting and reporting, expense control, cash management, banking relationships, audit and tax matters, accounts payable, billings, accounts receivable and collections, and capital and operating budgets. Kevin provides advice to the firm on financial aspects of all expansion opportunities, practices or lateral partners, and ensures financial compatibility with all such prospects so as to help Katten maximize its financial performance based on strategic objectives. Kevin manages a team of individuals in the areas of partnership and tax accounting, financial analysis, accounting operations, billing, financial systems, and national credit and collections. 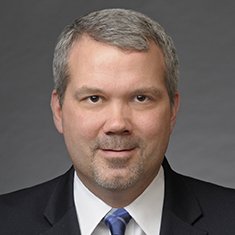 With more than 20 years in the accounting and finance field, Kevin previously was Chief Accounting Officer of the Americas Region at Jones Lang LaSalle. Kevin is a registered Certified Public Accountant (CPA).